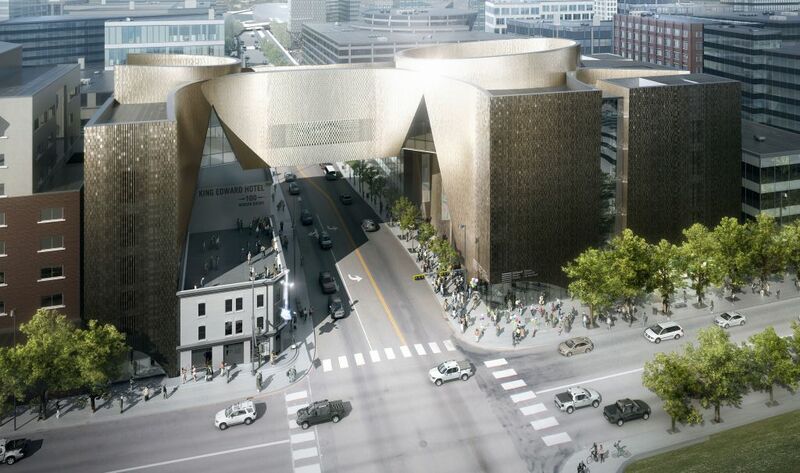 Construction has begun on the country’s National Music Centre (NMC) in downtown Calgary. The 14,864-m2 (160,000-sf) facility—much larger than its current heritage building site—will house music collections, exhibitions, gallery space, and the Canadian Music Hall of Fame. The NMC organization, previously known as Cantos Music Foundation, has its centre located near the Stampede Grounds in the city’s East Village. It is a national music landmark aiming to increase understanding and appreciation of music in the country. 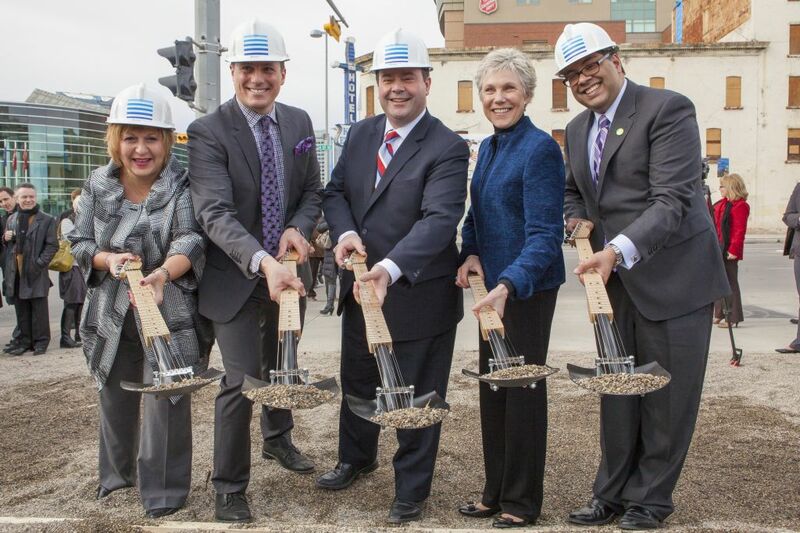 The East Village district is undergoing redevelopment, which includes the NMC construction and the rejuvenation of the historical King Edward Hotel, among other projects. After an international competition held in 2009, Allied Works Architecture was selected to design Calgary’s first national cultural facility. A two-storey bridge will serve as a visual gateway to the district and crosses 4th Street SE. The five-storey structure’s body is designed with nine, intertwining towers. Acoustics, lighting, and sound all played a role in the building’s creative design. The exterior will be suggestive of an instrument case, and the interior will be conducive to the reverberation of sound. The walls are clad in terra cotta and the restored King Eddy Hotel will be a part of the facility. In addition to Allied Works Architecture, Kasian Architecture, CANA Construction, and Haley Sharpe Design are part of the project team. Haley Sharpe Design will provide the interior exhibition designs where the country’s largest collection of sound equipment, memorabilia, and instruments will be showcased. The project’s total cost is $135 million. The federal, provincial, and municipal governments have all contributed, with the remainder to be raised by NMC efforts in the private sector. The structure is targeting Gold under Canada Green Building Council’s (CaGBC’s) Leadership in Energy and Environmental Design (LEED) program and is scheduled for 2015 completion.